Michael Alley. Photo by Daniel Deitch. 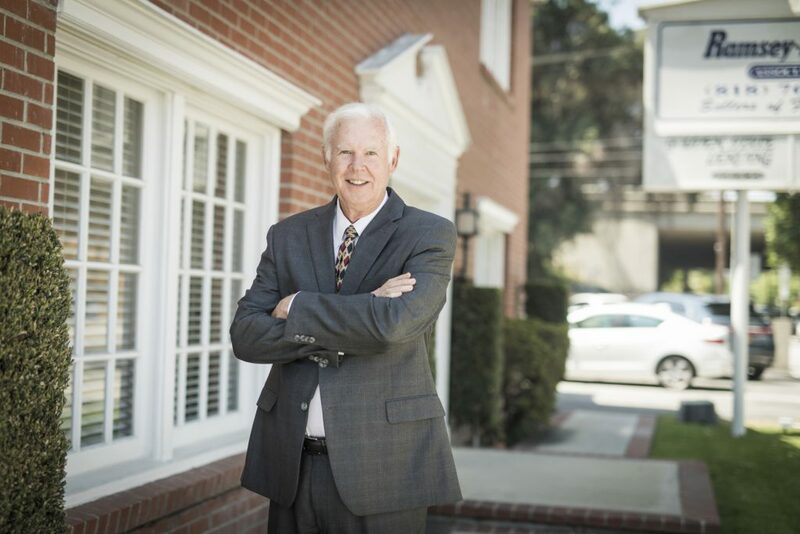 Woven into the tight-knit community fabric of Toluca Lake is Ramsey-Shilling Associates, a boutique real estate brokerage that’s been promoting the neighborhood for more than 40 years. In addition, people may recognize Ramsey-Shilling as the sponsor of two charity events for Children’s Hospital Los Angeles each year at the Lakeside Golf Club or as a donor to the annual Pancake Breakfast put on by the Toluca Lake Chamber of Commerce. Locals likely know that “every Fourth of July, our agents put American flags at the end of the driveways of homes throughout Toluca Lake. In October, our offices give away pumpkins perfect for carving,” Alley says. To say that Ramsey-Shilling is a big community supporter is putting it mildly. Six of its brokers have been or are the current president of the Toluca Lake Chamber of Commerce, Alley notes. Most of the firm’s salespeople either live in Toluca Lake or are members of the Chamber. Realtors are also involved with the Toluca Lake Homeowners Association, the Toluca Lake Garden Club and the Greater Toluca Lake Neighborhood Council, he points out. Alley, too, has deep roots in the community. He moved to Toluca Lake from Studio City in 1979. Like his parents, he purchased his house through Ramsey-Shilling. In 1984, Alley left the music business for a career in real estate. He met with Bob Bacon, manager of the Toluca Lake Ramsey-Shilling office, then joined the firm shortly afterward. Five years later, Alley became a partner and manager at Toluca Lake. By 1991, he rose to become CEO of Ramsey-Shilling Associates in Toluca Lake and Hollywood Hills, overseeing 55 employees. The company assists clients with sales, leases and purchases of residential, investment, commercial and industrial properties. “I enjoy describing the Toluca Lake community to people who newly discover it,” Alley says. The residents, business owners and employees work together “to address traffic, growth, parking and preservation of quality-of-life experiences in a village-like environment,” he says.